Make a list of all your flash cards in Excel (or another spreadsheet app such as Google Docs, OpenOffice, …). 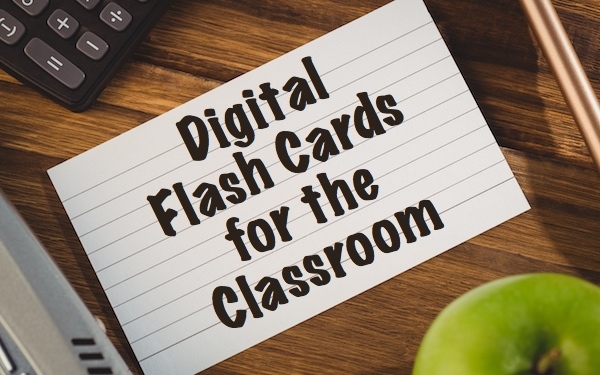 Use this flash card file template to begin with. Make sure to make a copy of the file before you start adding words. 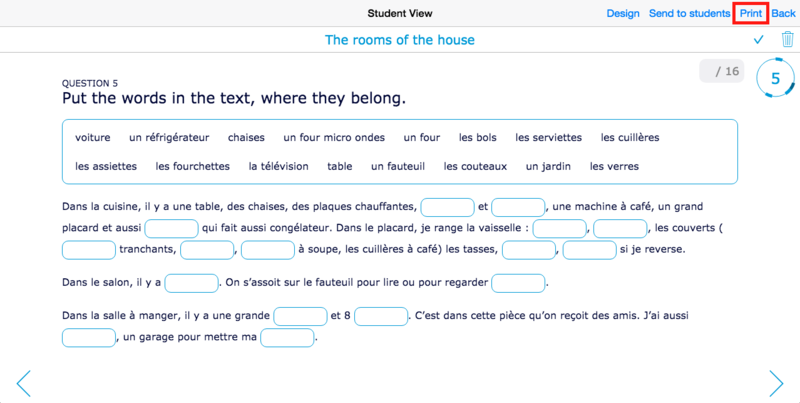 Add all the flash cards' aspects, or leave some open if you don’t want to include them. The configuration values for front and back layout have to use the English terms, no matter what language your cards are in. It’s only possible to add text to your flashcards when you import a CSV file. You can always add images separately. If you want to insert images and audio using the CSV file, you need to download BookWidgets for Mac OS X or Windows from the downloads page. When using the downloaded version, it’s important to save your audio files in the same folder as your downloaded .csv file. With a new (or existing) Flash Cards widget open, open the cog wheel menu in the upper right corner, and choose “Import CSV”. 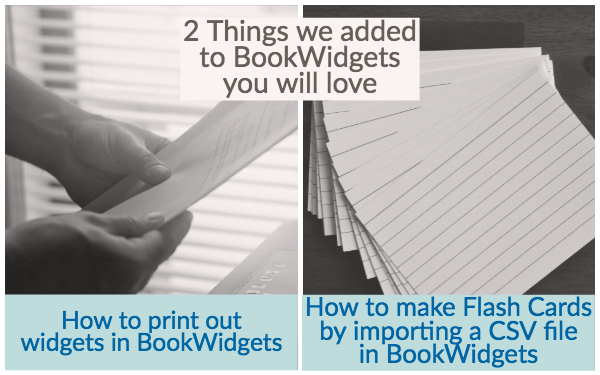 The widget editor will fill your list with all the flashcards from your CSV file. To see how this looks for your students, click on “Preview” in the upper right corner. To be able to print a widget, you have to make one first. When done, click on “Preview” in the right upper corner. You’ll see your widget and a few more options. Here you can change your widget’s design. Now, you can also click on “Print”. !! Make sure to enable “Print backgrounds (Safari)” or “More settings > Background graphics (Chrome)” in the print dialog to include all the images of your widget. You’ll see that some widgets and question types are more suited for printing than others. 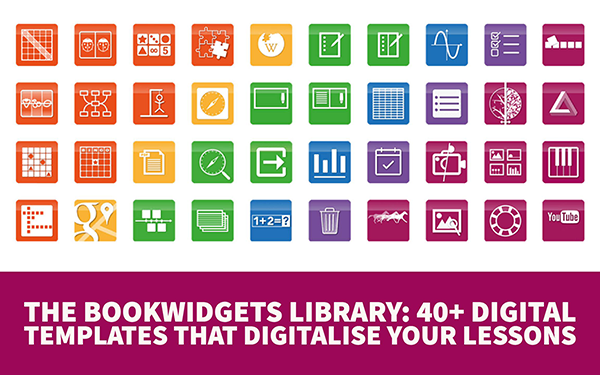 Keep in mind that BookWidgets is a digital tool: Some interactive exercises or question types are not interactive on paper. That’s it! 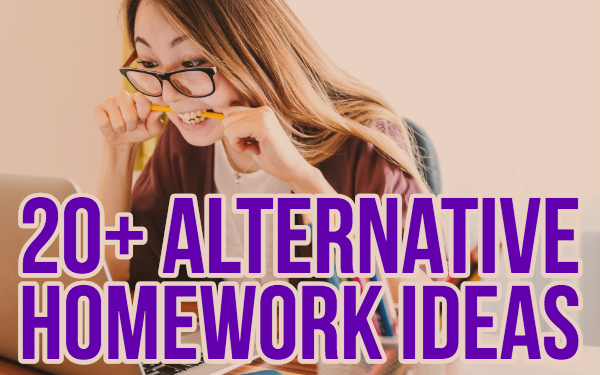 I hope these 2 additions help you with building your lessons. Keep checking out our blog as all updates and fun lesson ideas are posted there.